Benefit from a wide range of advantages delivered by a single device. FONALaser allows you to work with high precision while minimising the damage of surrounding tissue, resulting in faster healing. 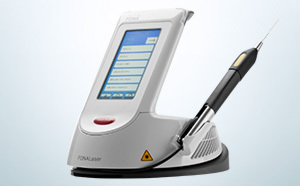 With only one device, the FONALaser, you can perform wide range of treatments in soft tissue surgery, periodontology, endodontics, germ reduction, pain treatment.